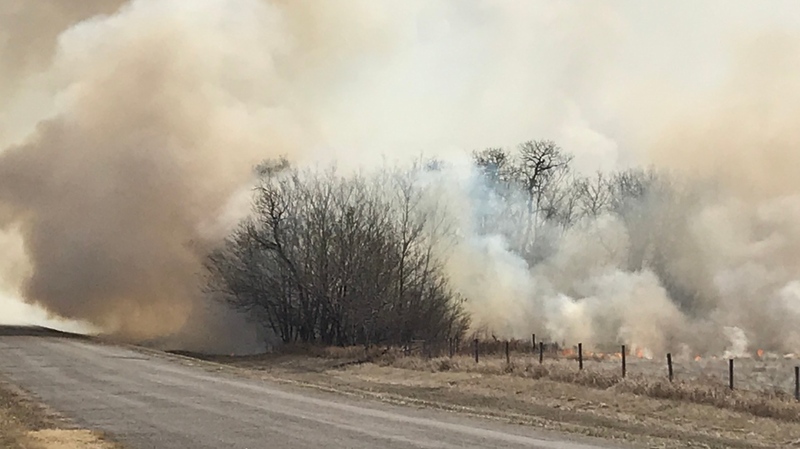 Fire crews brought a large brush fire southwest of Saskatoon along Strathcona Avenue under control late Tuesday evening, the Saskatoon Fire Department says. The fire burned for almost seven hours. In addition to fire department equipment, the province deployed a water bomber and the Meewasin Valley Authority had personnel on scene early Wednesday morning to assist firefighting efforts and monitor the Cranberry Flats Conservation Area. Changing winds and dry conditions challenged the efforts of firefighters but crews stopped the fire from spreading to nearby homes, outbuildings and livestock yards, the fire department says. Neighbour Kendra Dilsner said Tuesday that her fiancé alerted her to the fire while she was on campus studying for exams. The Saskatoon Fire Department will not conduct an investigation into the cause of the fire, as the area falls outside of its investigative jurisdiction.